How Many Years Back can the IRS go in its Search for Tax Fraud? The IRS and Department of Justice have cracked down on tax fraud and tax evasion regardless of its form. However, in recent announcements the Department of Justice has revealed its targeted enforcement focus on business payroll tax fraud, offshore tax fraud including non-compliance with FATCA & FBAR, Stolen Identity Tax Return Fraud (SIRF), and other forms of tax fraud. Beyond the enforcement focus, Acting Assistant Attorney General Caroline Ciraolo revealed that the Department of Justice’s Tax Division averages around 6,000 active matters. These cases are worked by approximately 340 attorneys, who are successful in more than 95 percent of the cases they prosecute. In light of such odds, many taxpayers may hope that time alone will cure their tax problems. However betting on the statute of limitations is a risky proposition complicated by the fact that the actions you take can extend the time for charges to be brought by years. However knowing approximately how long you may be required to prove the source of income or the propriety of deductions can bring some peace of mind. However, no action can substitute for a conservative and meticulous handling of all your tax filing, payment, and disclosure obligations by a tax professional. How Long Does the IRS Typically Have to Bring a Tax Audit? The basic rule for the IRS’ ability to look back into the past and conduct a tax audit is that the agency has three years from your filing date to audit your tax filing for that year. However, taxpayers who fail to include all sources of their income may face a longer time period. That is, taxpayers who omit greater than 25 percent of their total income are subject to a six year lookback window. However, the foregoing is contingent on the taxpayer not voluntarily agreeing to an extension of time for the IRS to audit. 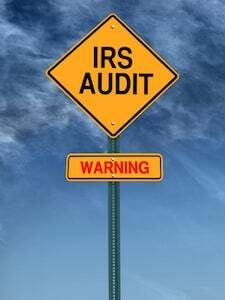 The IRS may, and often does, request additional time to complete its audit. Because every tax situation is unique, if you find yourself the recipient of such a request it is wise to seek the advice of an experienced tax attorney. Can Allegations of Serious Wrongdoing Affect the Time the IRS has to Investigate? Unfortunately for taxpayers accused of engaging in tax fraud the time limit for how long the IRS has to assess additional taxes and penalties is unlimited – though it becomes increasingly less likely for the IRS to open as a civil tax audit as the allegedly wrongful acts become more remote in time. Under Section 6531(2) of the U.S. Tax Code, the IRS has six years from the time the tax return is filed or from the last willful act that prevented the filing of a tax return from bringing a criminal tax charges. However, it can be difficult to pinpoint when, exactly, the last willful act occurred. Furthermore, in criminal tax matters the statute of limitations will be tolled by one’s status as a fugitive or if the accused is outside of the United States. The time the IRS has to assess a tax liability should not be confused with the time it has to collect a tax liability. Generally speaking the IRS has 10 years from the date of assessment to collect the liability. That 10 year period is subject to numerous circumstances which will cause the extension of the 10 year period including offers in compromise, requests for collection due process hearings, bankruptcy, and absence from the United States. In addition, if the IRS files suit to reduce the tax lien to judgment it can extend the time it has to collect. Indeed the IRS takes the position in the Internal Revenue Manual that it may collect against the taxpayer’s real or personal property indefinitely! 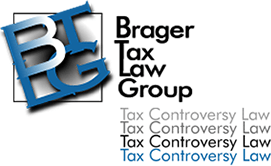 The Brager Tax Law Group is dedicated to providing strategic tax advice for serious tax problems. To schedule a tax consultation with one of our tax professionals call 800-380-TAX-LITIGATOR today or contact us online.